Bring back the Iron Curtain. Zhivkov would have known how to deal with this person. It didnt die at all. I cant believe newser posted this. 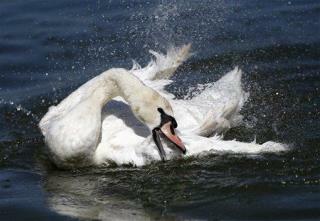 It doesn't say ANYWHERE any source that reported this story that the swan died.